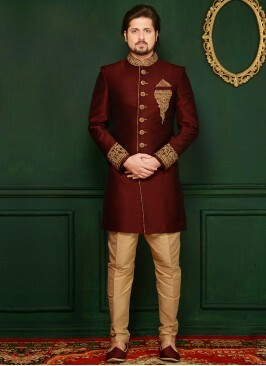 Designer jaquard silk brocade gold colour indo western sherwani with handwork neckline is pleasing appearance. Comes with matching ALIGADHI PANT style bottom. 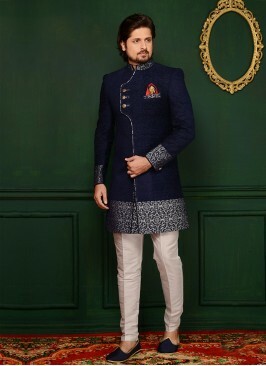 Make your day most memorable and loveable with this ensemble. 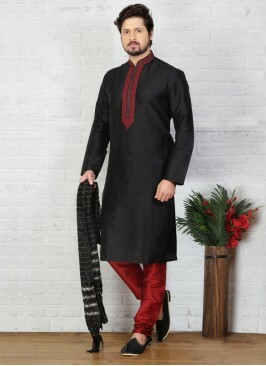 Black Kurta Pajama For Sa..
Dupion Art Silk Silver Co..